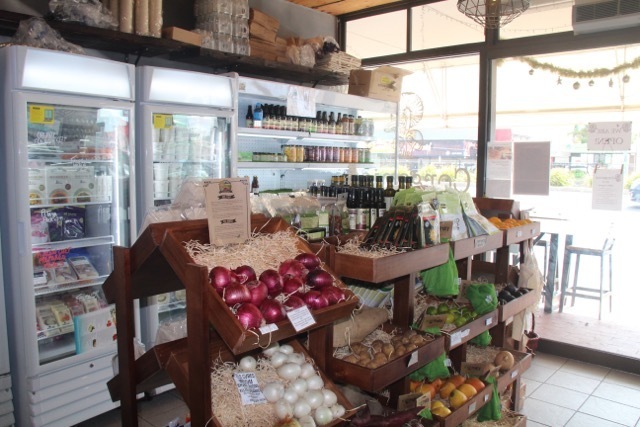 Nestled next to the eye-catching yellow walls of the Asian Grocery on Gold Coast Highway at Miami is Corganics - Grocery & Eatery. 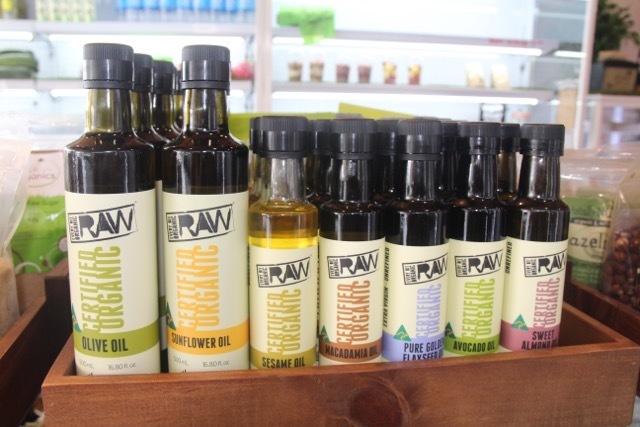 Its organic offerings can be purchased in several forms – as grocery items, delicious meals from a breakfast, lunch and dinner menu and as chef-prepared ready meals to take away. If you don't do gluten, dairy or animals then the menu choices will definitely please you. My daughter and I opted for the sit down lunch option and were faced with the difficult task of choosing from a varied and stimulating menu, offering many choices from burgers through to the Nepalese vegetarian curry. It's safe to say that choosing your meal may take a little time the first time you visit, as you are certainly spoilt for choice. 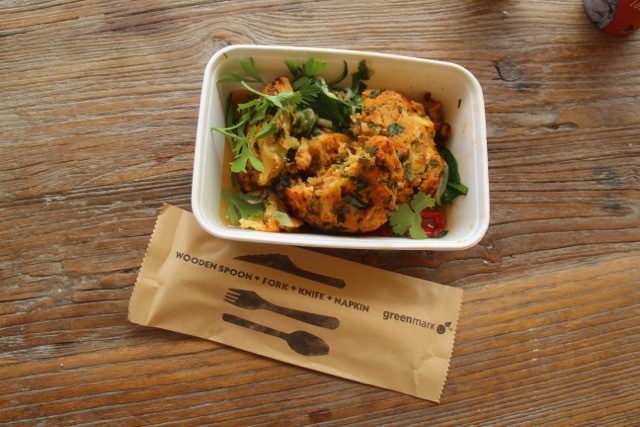 I was torn between the Scottish Atlantic Salmon Fish Cakes (served on spiraled zucchini paste with chilli, pine nuts, rocket, parsley, olive oil & julienne capsicum) and the Spiced Roast Coconut Yogurt Cauliflower. The salmon won and I thoroughly enjoyed my choice. My vegetarian daughter went straight for the Vegetarian Curry and relished every last mouthful. Timber seating is out on the pavement and watching the passing busyness makes you feel grateful for a chance for some time out, with good healthy food. 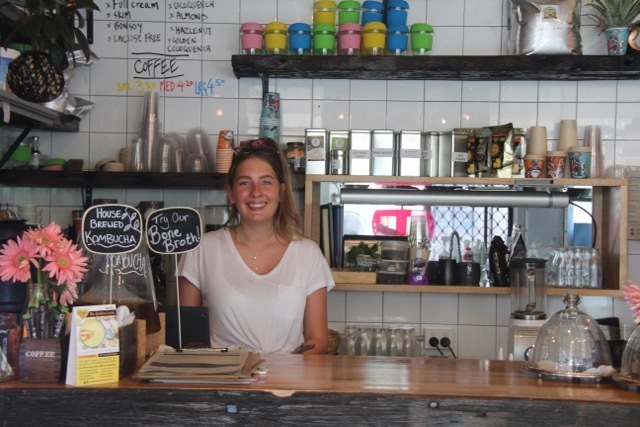 It's not a big sit down venue, however, one of its key ingredients to success is the variety of organic offerings, the opportunity to pick up groceries, combined with both served and take out home-style, healthy and tasty meal choices. The cherry on the cake is the bonus of many dairy/gluten free delicious in between meal treats. 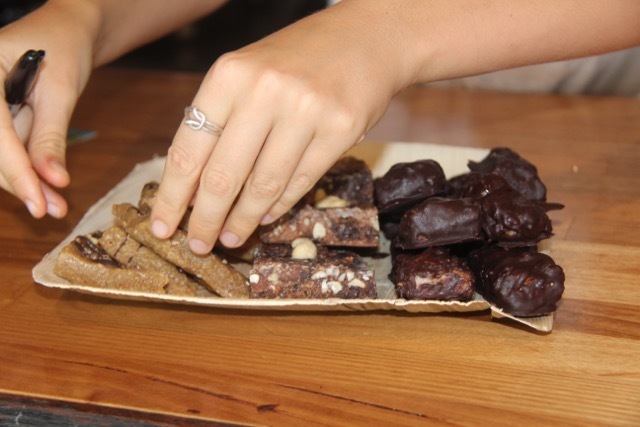 We were spoiled with a selection of Almond Fudge, a Vegan Caramel Slice, an amazing Raw Vegan Cardamon Peanut butter Cup and the Paleo Snickers Bar was nothing short of incredible. We were curious as to where the almond fudge got its delicious sweetness without the overpowering sweet hit and resulting sugar crash and this led to an interesting conversation with one of the creators from the kitchen. Romi spoke of her passion for making people healthy through healthy food. All palates will be happy here as its vegan and vegetarian-friendly with many gluten-free options. So for a mixed crowd of friends or family, you would manage to please everyone with the menu range. 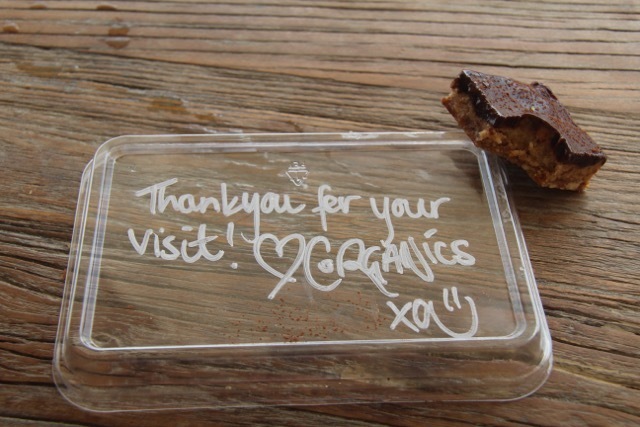 We were happy to see the reusable and recyclable packaging and were not surprised to learn also that Corganics provide a lot of orders through Uber Eats. The juices were wonderful on a hot day. My carrot, apple, orange, pineapple, beetroot and ginger cold-pressed juice lived up to its Nourish My Soul name. Portion size was perfect, happy regulars came and went and the customer service was very friendly and efficient. The homemade feel to the meals was so refreshing from a shop environment. 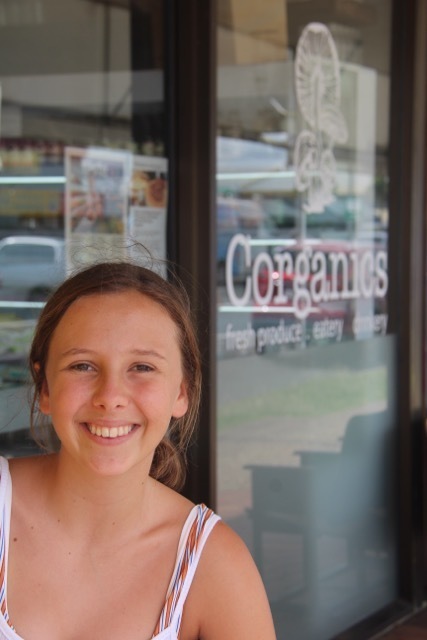 If you live in the area and wish you had more time to eat healthy organic food, then stopping at Corganics on your way home is definitely the way to go. My gut feeling, if you can pardon the pun, is that this business definitely has the potential to continue its growth (it's only been open less than 2 months) and will be looking for bigger premises over time. 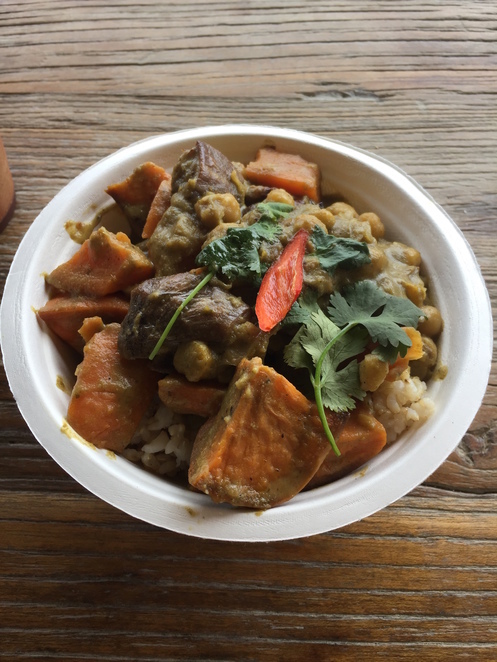 It has an organic ethic, delicious meals, take-home options and the food is made by people who have a passion for what they do. 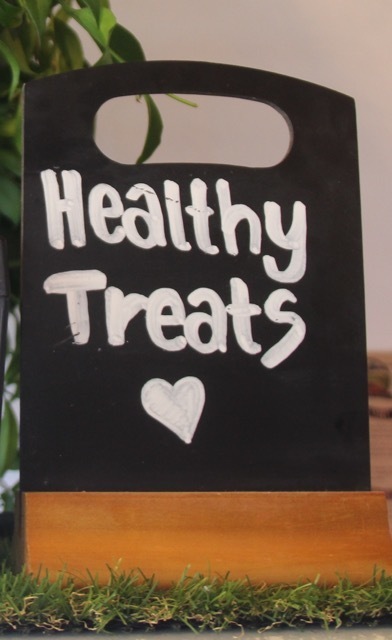 My only regret after lunch was not buying more healthy treats to take home. Oh well, that sounds like the perfect excuse for a return visit. I noticed on their FB page you can also call or text your order (5578 6245), so it's ready when you arrive. Corganics is open 7 days, from 6am – 8pm. It can't get much easier than that. Hi Susan I've just moved to Tweed so I will have to try this sometime!